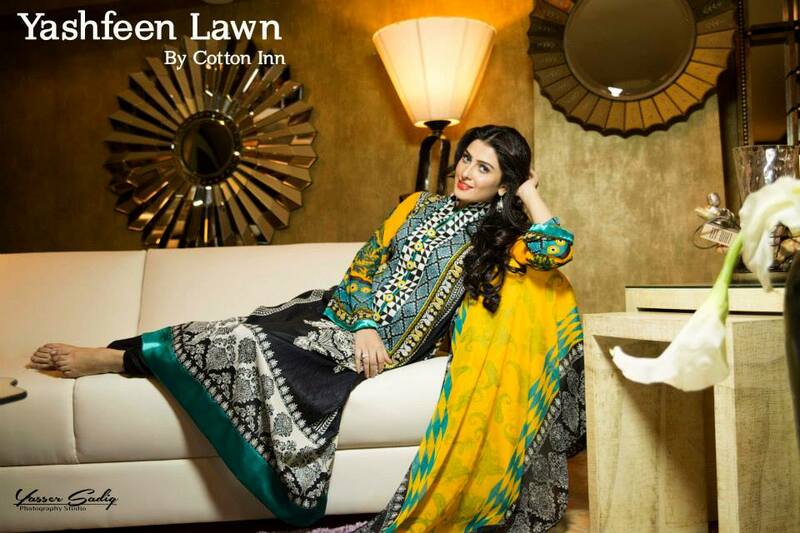 The fashion of lawn is for the season of June July. But the winter fashion of Lawn is not behind. Here Cotton Inn fashion brand is with New Yashfeen Lawn 2015 for Women. Pakistani Fashion celebrity Aeyza Khan is featuring in the lovely dresses design. The color selection by brand is really awesome. Formal neck design for Long shirts for are looking best for the ladies with medium height. Frontline patch work of digital pattern is very trendy for the girls of Pakistan. The photographer and styler Yasser Sadiq have made this snaps really in professional way. 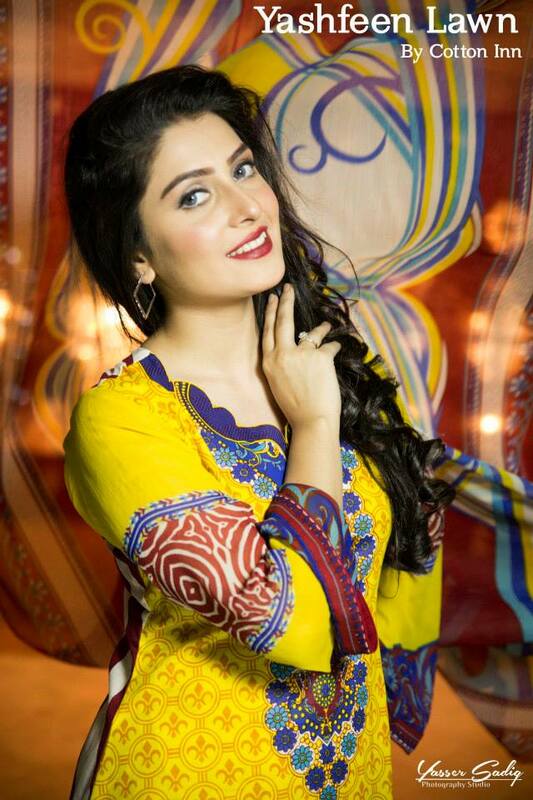 Actress Aeyza Khan is looking cute in this photoshoot. 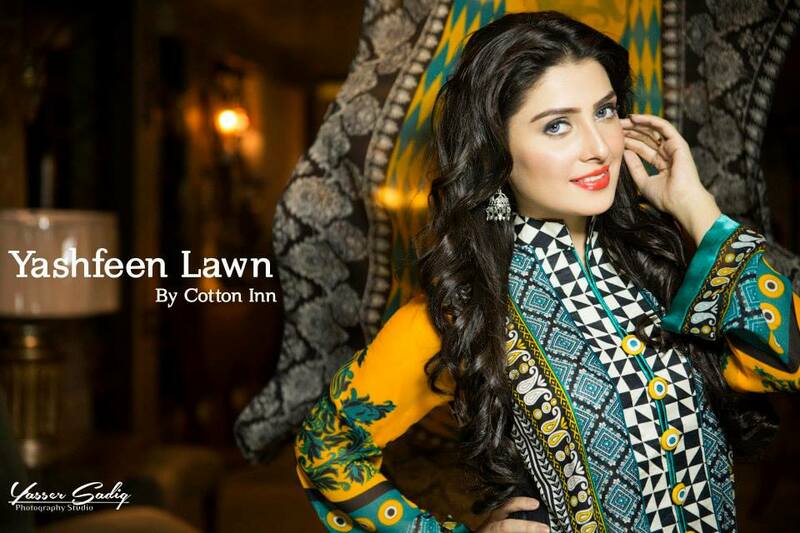 Here see some Photo of Yashfeen Lawn 2015 by Cotton Inn fashion brand.